Wishing you a happy and peaceful Christmas! 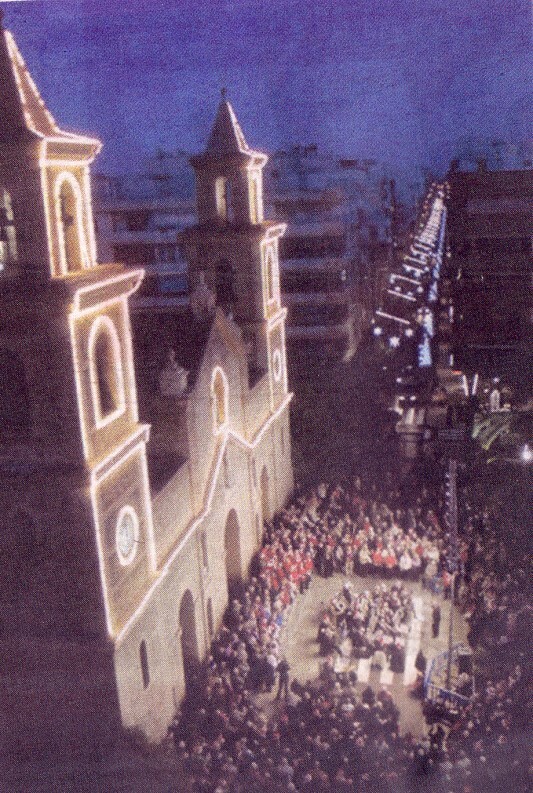 This was the tenth annual Christmas Carols in the Square event. My wife Jennifer and I, along with many members of her choir, Cantabile (above), joined other choirs and citizens from the area to sing thirteen carols in front of the floodlit church and next to the splendid Belen diorama. Included were two Spanish carols, ‘Campana Sobre Campana’ and ‘Fum, fum, fum’. The music was provided by The Phoenix Concert Band. Lots of Christmas hats and antlers were in evidence! A census wasn’t taken, but we reckon there were Spanish, English, Welsh, Scottish, Belgian, German, Dutch, Ukranian, Swedish, Danish, and Norwegian in attendance to celebrate the nativity. Also present, representatives from the town hall and the Salt Queen and her Dama, Nuria Zaragoza and Elsa Martinez respectively (below). The collection amassed €985 for the local charity Alimentos Solidarios, which provides meals for those in need. There was no religious message, save that implicit in the nativity; Mass followed for those who wished to attend. The international community of Torrevieja and environs is a beacon for co-existence among all peoples. Yet again it was wonderful to be a part of this event. The world is a better place than we sometimes wonder when we learn about the horrors and destruction, natural and man-made. Louise Clarke, 38, was a reporter for the local English language paper Round Town News for a number of years, a familiar face known to hundreds in the area. Louise & Lee lived in Edgeley in Stockport before emigrating to Spain, where they have been living for the past five years. An ebullient and friendly person, she commented on and fought on behalf of the local community on a number of issues, from dodgy housing developers, poor sewerage, intransigent politicians, to the provision of the Coastal Nursery school. She was a lovely people person and thrived on news, in particular political infighting and even took a year’s sabbatical to work at the Playa Flamenca town hall. Last month she was hospitalised after unexpectedly collapsing. She hadn’t been ill and the cause of her serious illness baffled the medical fraternity and she remained unconscious ... Those who knew her were shocked at the suddenness of it all – especially when she was known to be so active and full of vitality. Tragically, Louise died yesterday, still a young woman with much to give, leaving behind her husband Lee, daughter Lilly and son Charlie. A good person, taken too soon. 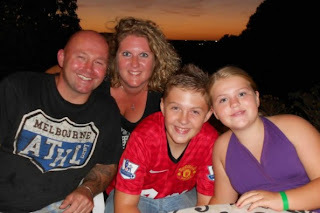 Note: Before Louise’s demise, a fundraising effort was started, to help her family over the Christmas, as Lee has not been able to work while juggling hospital visits and looking after the children. A ‘Christmas Glitter Ball for Lou’ event was arranged to be held at The Emerald Isle, La Florida, on Wednesday 12th December from 7.30pm, organised by media friends and colleagues; the entertainers giving their time for free. It is now going to be a sombre occasion; all the more poignant as so many who have already donated wished Lou a speedy recovery… In three days 24 people have already donated £1,230. Written in 1957 by John D. MacDonald, The Executioners has the distinction of being filmed twice – in 1962 and 1991. MacDonald died in 1986 so didn’t get to see the Scorsese remake. The title was changed to Cape Fear by Gregory Peck, who produced and starred in the first film. I have to agree with Peck, The Executioners is not really an appropriate title for the book and its theme. (The Executioner series featuring Mack Bolan by Don Pendleton didn’t appear until 1969). Cady got life, but was let out after thirteen years. And Cady began stalking Bowden. Cady issues veiled threats, but never in anybody else’s hearing. Even when the Bowdens’ dog Marilyn is poisoned, there’s no evidence that it was Cady. In order to protect his family – ‘his four incredibly precious hostages to fortune’, Bowden arrives at the unpalatable conclusion that he must go outside the law to deal with Cady. The book begins and ends with the family on their boat, but unlike the movies the vessel doesn’t play any notable or dramatic part in the story. The beginning is a slow fuse, not recommended in modern thrillers. But it works because MacDonald paints a happy family, creating characters you’re going to care for and worry about. 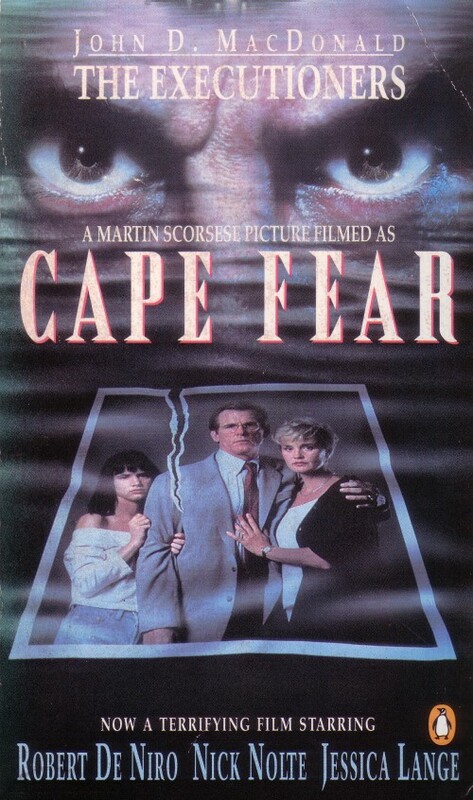 The ending, while realistic, is quite tame by modern standards and much of the action occurs off-screen, which adds to the psychological concern but diminishes the graphic assault on the senses. The ending lingers and perhaps shouldn’t – the screenwriter’s axiom is ‘enter late, leave early’ – and yet it’s a satisfying ending, the calm after the storm. Both Mitchum and De Niro bring suitable menace to a villain who doesn’t have to be in every scene to yet dominate the entire film. As Max Cady does in the book. A native of Portsmouth, England, Bob died on the evening of 24 September as a result of bone and prostate cancer. 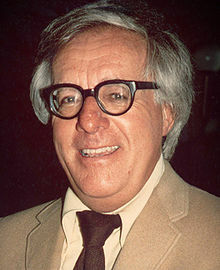 I first got to know him when he was publishing a short story magazine, Ad Lib in the late 1980s. He was an ex market stallholder, an ex journalist and could turn his hand to almost anything. This was before the computer and the Internet would dominate publishing. I illustrated a few editions of Ad Lib before it folded, among them stories by Arthur C Clarke and Jeffrey Archer. After that, we met infrequently, usually at his market stall in Portsmouth, where he sold second-hand books, or the nearby pub. My career in the navy took me away and we lost touch. Then he hit upon his money-changing concept and Intercash was born in 1993. Rumour has it that he soon became a millionaire. True or not, he employed a number of staff and Intercash expanded over the years. 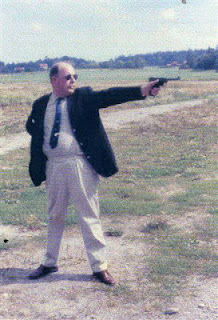 The origins can be read here, http://intercashuk.com/newsite/aboutus.php, written in Bob’s inimitable style. Some years later, while I was redundant and looking for a change in direction, away from IT, I stumbled on a copy of the Portsmouth Post magazine and realized that Bob was not only the editor but publisher. He was looking for a sub editor so I got in touch and the job was mine. It was a popular monthly magazine, and great fun to work on. Incredibly, workaholic Bob handled the magazine and also his Intercash empire at the same time, no mean feat. He fought the weed and demon drink, two accessories that seemed appropriate for his journalist personality. He was quick witted and sharp as a knife where puns and article headlines were concerned. His DIY articles were written under the pseudonym of Matt Black, gardening tips by Daisy Cheyne and general articles by Doug Deepdown. 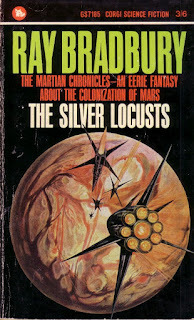 He wrote short stories and novels under several names, too. His output was literate and prodigious. Recently he was working on the final draft of a 200,000-word Victorian crime novel set in Portsmouth. 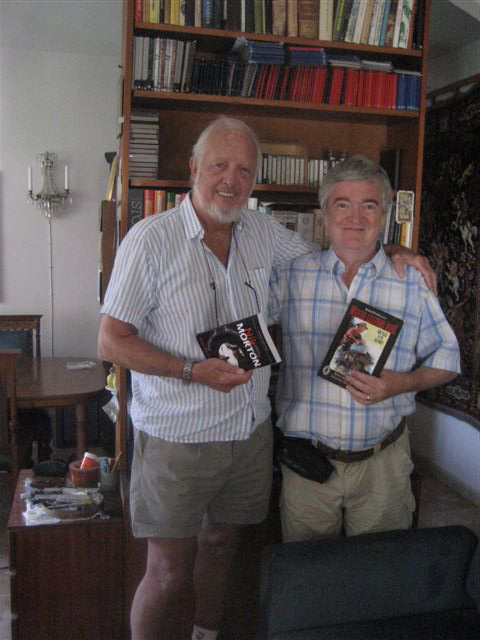 When I moved to Spain, Bob kept me on at the Portsmouth Post and we worked on the magazine remotely. However, he flew me back to UK once a month for a week to get the magazine finished and ready for print. I still remember those bacon butties we’d enjoy of a Saturday morning, just the two of us, while beavering away in the office. He thought the world of his extended family, and wasn’t averse to a little nepotism from time to time, putting family members on his magazine’s cover. 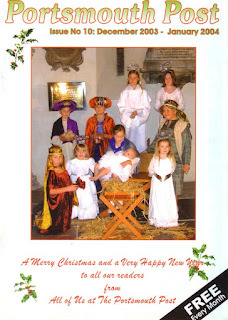 The Christmas 2004 issue featured his grandchildren, nephews, nieces. Bob Jenkins was a very generous soul and he will be greatly missed. Funeral at Portchester crematorium, October 10, 3pm. I’ll be there in spirit. R.I.P., Bob, old mate. 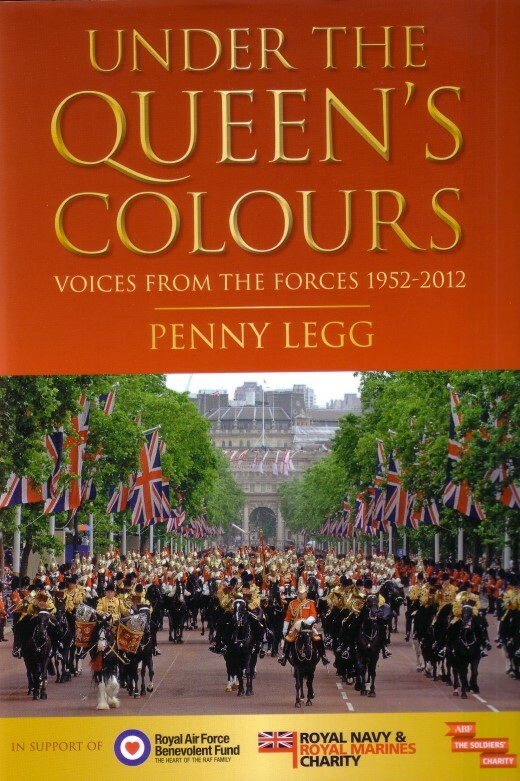 Over 270 pages of reminiscences from servicemen and women during the Queen’s sixty years’ reign. 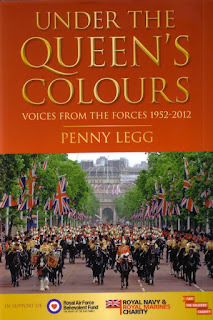 Editor Penny Legg has performed a sterling job of interviewing, collating and editing this great array of voices and images that cover the period 1952-2012. Profusely illustrated, in b&w and colour. I’m honoured to appear in here with a fairly lengthy piece, ‘The Navy Lark up the Khyber’ which covers part of a weekend spent in then-West Pakistan in 1969 while serving in the Royal Navy’s frigate Zulu. There’s even a colour photo of me at the gateway to the Khyber Pass! The original had to be cut by about 2,000 words, but you can’t see the joins – thanks, Penny! 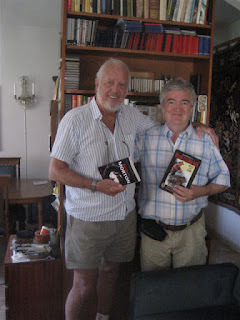 There are three fellow Torrevieja Writers’ Circle members featured in the book, also: Gerry Wright, a national service Military Policeman serving in Cyprus (1956-58); Douglas Sidwell, serving in the Army in Borneo (1963), and John McGregor, serving in the RAF (1967), whose full adventures can be read in Fairy Tales of an SAC. There are stories about day-to-day life, hair-raising escapades and dangerous situations and battles. Sad, intriguing, informative, amusing – the book has something for everyone. For anyone who hasn’t been involved with the armed forces, this book provides a marvellous insight into the conditions, the comradeship and the fun. For those who have served, the book will ignite many memories from their past. Final chapter, fittingly, is ‘In Memorium’, in memory of all the fallen personnel, given a personal dimension by the sister of a Royal Marine Robert Don Griffin who died with many others in the Falklands. A portion of the proceeds from the sale of the book will go to the RAF Benevolent Fund, the RN & RM Charity and ABF, the Soldiers’ Charity. 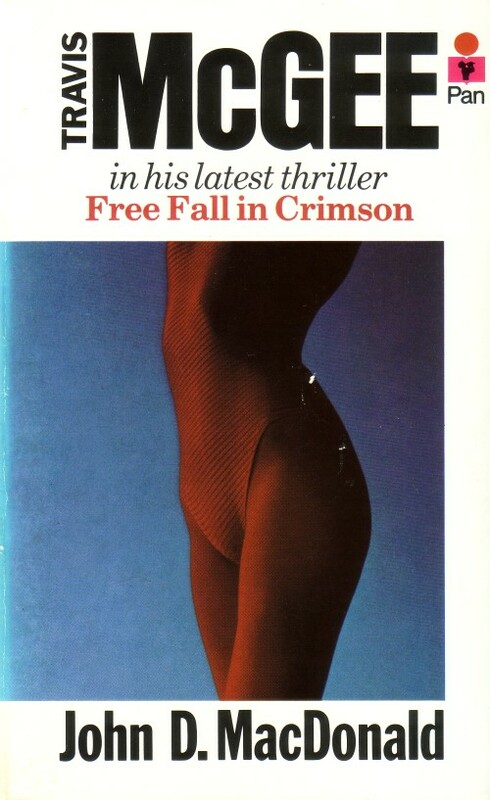 This Friday Forgotten Book is by Adam Hall (Elleston Trevor), published in 1992. 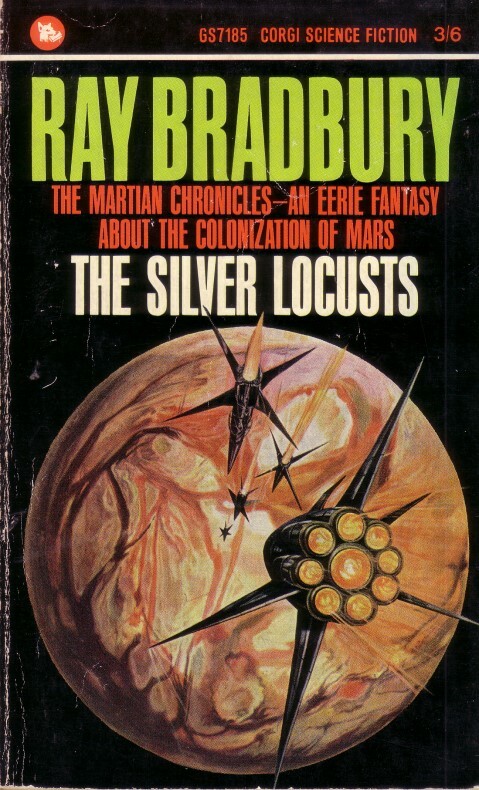 Now that I’ve completed this book, I only have two more Quiller adventures left to read (Meridian and Balalaika). 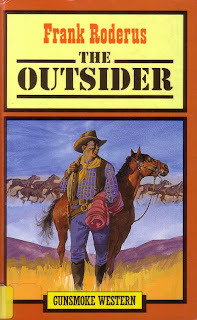 Ever since Adam Hall’s death in 1995, I’ve been hoarding my unread Quiller novels. Through the seventeen books I’ve read, Hall has sustained his style and drive, maintaining tension and edge-of-seat action and suspense, never flagging. That can’t be said of many prolific authors. Quiller is the spy’s codename. We never know his real name. He uses aliases – Gage, Locke, Longstreet, but there are others too. He’s a shadow executive working for the Bureau out of London. Officially, the Bureau doesn’t exist. It isn’t part of MI5 or MI6. Like Le Carré, Hall has devised believable spy-jargon for his secret service world. Quiller often refers to himself and others of his ilk as ferrets, ‘to be put down a hole’. Quiller is a man alone – and that’s how he prefers to operate. His missions are given operational names which are then put up on the board at Control in London. Barracuda, Bamboo, Salamander, Meridian and so on. Solitaire draws Quiller for personal reasons – one of his fellow operatives was killed by a shadowy organization called Nemesis. He’s sent to Berlin to infiltrate Nemesis, a terrorist faction. It matters not that the novels are narrated in first person. We know the narrator will survive to tell us of his latest mission, but what’s riveting is the cat-and-mouse games he plays with the villains, the psychology he employs to survive against the odds, and the sheer persistence of a man who will never accede to defeat. 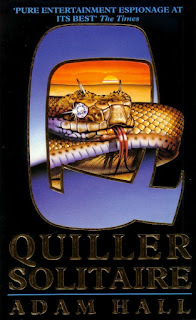 If you’ve never read a Quiller novel, you’ve missed something quite special. Adam Hall knows the rules of writing but, when necessary, breaks some of them with verve. In one action paragraph that runs to nineteen lines, he uses only a single sentence – strung together by one ‘and’ after another, but the speed and action make the repetition of ‘and’ shadowy, hardly visible, as your eyes and mind race through the superb action scene. Any kind of punctuation would simply slow down the pace. If you have read a Quiller novel, then you probably don’t need me to recommend this book – which I do, by the way, unreservedly. 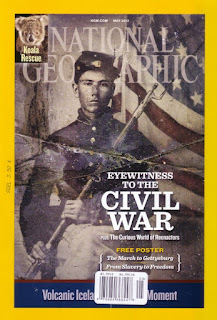 The latest issue of National Geographic – May 2012 – is of particular interest. (Almost all issues are of interest, I know! I’m not a subscriber but can obtain copies at our local newsagent, maybe a little later than many readers, here in Spain). The cover feature – ‘Eyewitness to the Civil War’ is about the war artists, complete with examples of their remarkable sketches. 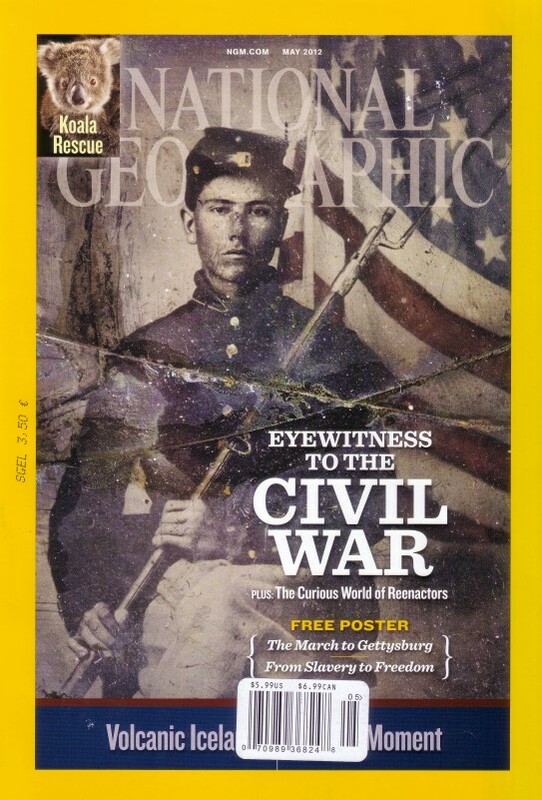 There’s also a free poster, covering ‘The march to Gettysburg’ and ‘From Slavery to Freedom’. The second half of the main feature is ‘The Curious World of Re-enactors’. Those epics Gettysburg and North and South – and many others – couldn’t have been filmed without the active and unstinting support of the many Civil War re-enactors. In Civil War re-enactments, it's expected that some of the participants will be “killed.” So when Union captain Bill Taylor is shot dead, everyone assumes it's part of the act. Only Bill wasn't acting, and homicide detectives Julie Harmon and Fran Thomas set out to find the killer. During their investigation, the detectives are shocked to uncover evidence suggesting that Bill was involved in several unsolved murders in the area. Had one of the pretend soldiers discovered Bill's secret and taken the law into his own hands? Further questioning of the participants raises a suspect the detectives hadn't considered. Spookily, many re-enactors insist a real Confederate soldier had shown up that day, and he was the one who'd fired the fatal shot. Published in 1988, this is my reprint copy of 1995. It’s a moral and simple well told tale about a man’s self-belief. Leon won’t give up, he won’t rile easily, and he will do the right thing, no matter what the cost. The characters are believable, both good and bad, and sing of the human condition. I came away from this book feeling that I knew Leon – and to a lesser yet as important degree, the half-Apache, half-Mexican Manuela, the popish priest Felipe and the neighbourly Jud Ramsey. I can believe that the west was built by people like these, one day at a time. It’s moving and amusing and just plain satisfying. 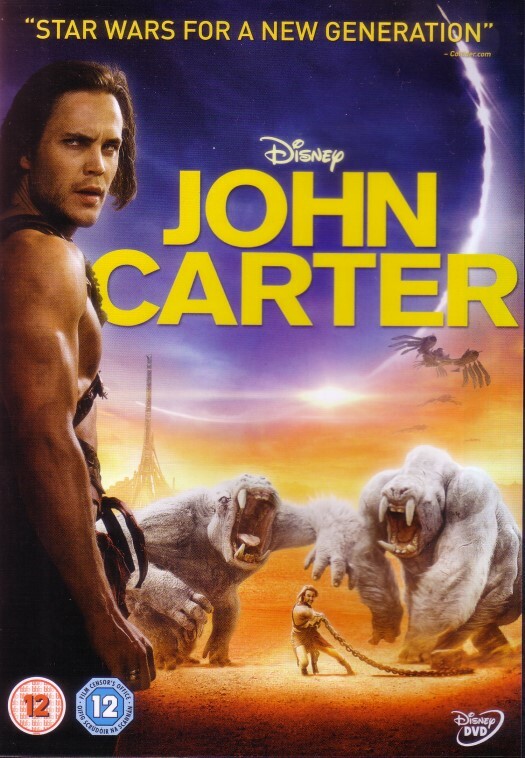 This illustration is based on a scene from A Princess of Mars - John Carter's rescue of a Zodangan royalist. Drawn July 30, 1963. 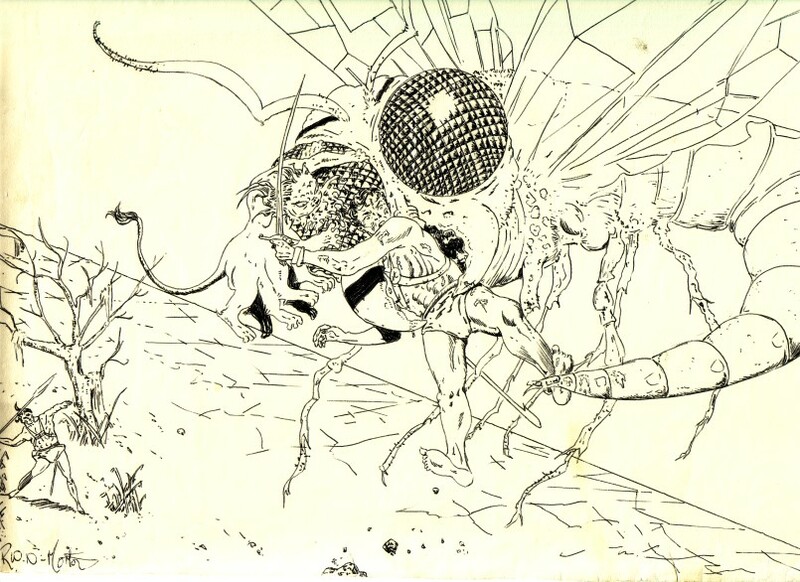 The original is 22"x10.5". Even then I must have hankered after a split personality - ie using several pennames - as I signed it RWN-Morton and Ross Morton!